HIGH cattle prices were primarily to blame for the disastrous financial losses recorded at the Australian Agricultural Co’s Livingstone Beef processing plant near Darwin, chief executive Hugh Killen said yesterday. As outlined in yesterday’s story, AA Co plans to close its Darwin processing facility before September 30 after racking up eye-watering statutory net loss after tax of $102.6 million for its full financial year, including a one-off write-down of $74.9m for its Livingstone business. The plant closure was designed to simplify the company’s supply chain and allow it to focus more on its high quality beef brands, the market was told. During a briefing yesterday after the full financials were released, Mr Killen was asked to outline the fundamental reasons for the plant’s poor performance. He said a number of plant input costs were challenging, making particular reference to cattle prices. “One of the key input costs is cattle, and obviously we are operating in a challenging environment in the NT with live export,” he said. Mr Killen agreed with an ABC journalists’ summary that inputs were just too dear to make a viable profit at the plant at present. He stressed that demand was ‘still there’ for product (primarily, commodity type lean grinding beef) from the Livingstone plant, primarily directed into the US market. Beef Central asked Mr Killen whether there were other factors involved in the loss results, and whether an alternate plant management approach could improve outcomes. “We do, at times, face highly elevated slaughter cattle prices here in the NT, but the plant also operates in a challenging environment from the wet season perspective. So the input costs for the cattle can be higher than in the south, because cattle need to be staged through the wet season. It’s not only the outright cost of the cattle, but the additional cost burden that goes on top, in terms of staging those cattle into the plant at certain times of year,” he said. Mr Killen confirmed that the plant was not being offered for sale. Asked whether there had ever been occasions when AA Co’s own northern cattle properties had been asked to supply the Livingstone plant with cattle at discounted prices, as a means of propping up the plant’s operations, he said Livingstone’s operating EBITDA this year, unfortunately, suggested that was not the case. Asked how much of Livingstone’s cattle price problems were due to the herd reduction that has occurred across large parts of Australia over the past three years, Mr Killen agreed it was an issue. “Beef processing is a highly cyclical business to be in, and there has been a cow-herd rebuilding going on in the Northern Territory and western Queensland. That’s had an impact, and the total number of cull cows available has been a wider challenge for us,” he said. Observers say the factors contributing to Livingstone’s unfortunate predicament run a lot deeper than livestock procurement and labour costs, however. Some point to AA Co’s multi-layered and generously-rewarded management profile, and what’s seen as a poor operational set-up and strategy at the plant. Some veteran processors were mystified as to why the project was not set up, from the outset, as a least-cost hot boning plant suited to efficient generation of frozen lean grinding beef. Currently it is configured for quality beef production, while producing a frozen commodity product, one contact said. It’s widely understood that Queensland processor Australian Country Choice has visited the Livingstone site in the past few months – apparently to offer guidance about plant set-up and operational strategies. There’s been no suggestion at this stage that ACC has any direct interest in investment in, or management of the facility. However he said the ‘tough decisions’ being made now would redirect AA Co back towards growth. He said the announcements made yesterday recognised management’s commitment to transparency, and also to making the tough decisions to protect value. Asked whether there was any suggestion AA Co might be waiting for the live cattle export trade to end, in order to re-activate the Livingstone plant, Mr Killen told the briefing the company did not have a view about the livex trade stopping ‘any time soon,’ and was not making any decisions on the basis of livex in any way. 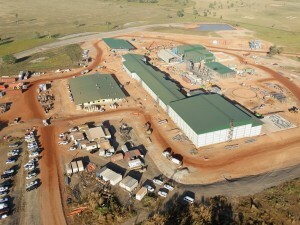 Industry observers have for some time noted the lack of any meat processing operational expertise at either board or senior management level within AA Co, despite the $100 million investment made in the Darwin processing venture, plus generous government financial support said to be worth tens of millions of dollars towards provision of infrastructure during establishment. The AA Co board was ‘crying out’ for the addition of a non-competing hot-boning cow processing expert “like a Frank Herd, a Tony Munns, or a Peter Greenham Sr”, to steer the ship in the Darwin project, Beef Central was told – particularly given that some of those names have close alliances with major domestic ground beef customers like the Hungry Jack’s burger chain. Others pointed to the earlier, questionable decision to hand over AA Co’s domestic marketing responsibility to Australian Wholesale Meats – a move which one wholesale industry contact said took $2-$3/kg off the table in terms of margin for AA Co. Buried in the 86-page financial report issued yesterday was Livingstone Beef’s sales volume and value results for the year – 21,000t of product (down 17pc in volume on the year before) averaging just $4.39/kg (virtually unchanged from the year before). That average price includes not only trim, but sweet cuts directed into other markets, presumably at a higher price. “85CL trim has traded either side of $5/kg for much of the year ended March, and as high as $5.50-$5.60 for periods. And that does not account for the fact that AA Co should be making much better money on the tenderloins and cube rolls it is selling separately; or the fact that much if its product out of Darwin should be higher than 85CL. It just doesn’t add up,” he said. Editor’s note: AA Co has since clarified the above figure, saying it includes not just beef sales, but other items like offals and by-products. AA Co agreed that its description in the annul results as ‘beef’, rather than the more appropriate term ‘beef and beef products’, left it exposed to misinterpretation. Brisbane’s Courier Mail this morning carried an item focusing on the boost to salaries of AA Co directors for the year ended March 30 announced yesterday, despite the $103 million loss for the year. Total remuneration for the ten board members rose from $1.55m to $1.9m, the Courier said. Another five top executives fared even better, with the collective spend on their compensation packages more than doubling from $944,000 to $1.9 million. Following the disclosures in yesterday’s announcement, AA Co shares closed at $1.10 yesterday, down from a recent high of $2.07 in July 2016. Tomorrow: Does the Livingstone closure spell the end for northern Australia’s beef processing prospects? Perhaps not, it seems. $3.8m for Board and Execs., and not one of them ever brand a calf. Ken Warriner built CPC on his own. Just two good bookkeepers based in Murwillumbar and Ken probably branded a few calves during his regular “water runs” my few AA shares are an interest, certainly not a money spinner! Analysis of the figures for female sale and slaughter from the North done by Phil Holmes shows there were never the numbers of cull cows in the North available for such a large works. The supply map that Livingstone was based on went down to Alice Srings and way into Qld and WA. Alice Springs people are very sophisticted with selling their cattle and many have property interstate where they send their cattle to finish before market. There were also abbatoirs in Adelaide and Murray bridge until the latter burned down – to compete with at about the same distance for Alice producers. Many Alice producers sold into Qld live markets as well. All this could have been easily confirmed by due diligence. Producers will take the price from a range of works and markets, add in freight and costs to arrive back at an on property price – we cant afford to be charitable in this game, there is little enough margin as it is. So we will always sell to the highest bidder, all risks considered. Which was why we shipped our cull cows to Victoria to slaughter. Even after freight and costs it was still more money back here at that time than had we sold to Livingstone. At the end of the day, it is always about the numbers, supply, demand, cost of operation, markets. I regret they couldnt make a go of it, and sad that sitting there it is a huge threat to anyone else wanting to start a smaller, modular works more suited to the real supply. Hindsight is a wonderful thing. Vertical integration in our industry has its difficulties. There are success stories such as US Premium Beef where Mark Gardiner chairs a processing company killing his and their associates’ animals at their abattoir or at those of National Beef. Mark is a leading supplier of Angus genetics worldwide from Gardiner Ranch in Ashland, Kansas. To supply cattle into their chain you need to be a unitholder in US Premium Beef. One unit gives you the right and obligation to deliver one animal each year into the supply chain. However, the task facing AACo was far more difficult. With their extensive property portfolio they must operate as Australia’s lowest cost producer of cattle for slaughter. From their figures over several years they do not. Hot boning demands the lines are full with a kill in the morning and a bone out in the afternoon. The profit line gradient in hot boning is steeper than for traditional abattoirs. So when the line is full you do well but if the supply is constrained then you will loose your shirt. AACo base strategy was to fill unmet demand for cull cows and spent bulls. In the early days AMH cannibalised abattoirs at Tennant Creek, Mt Isa and Pentland to send livestock to the Queensland coast for slaughter. Some went as far as Dinmore outside Ipswich. Operating costs were prohibitive at remote locations. The lower marginal cost of slaughter at the larger coastal works made the decisions of closure one of the great benefits for the four shareholders then owning AMH. Livingstone was always going to be tough and impairment charges will have written down the asset value from cost of construction. AMH sold the Mackay abattoir to Nippon Meat Packers (now NH Foods) and from my analysis it would seem that NH Foods operating assets make a good fit with AACo’s cattle supply chain. Perhaps AACo management might now look to enter discussions with NH Foods to see what might come from a joint venture of their future undertakings. These plans were discussed with them in the past but rejected by an earlier CEO due to management’s blind arrogance to build the Livingstone plant and a board without any beef processing experience. It will make interesting reading as they try to recover value from Livingstone’s misadventure. Property sales may be on the agenda to improve cash flows. A perfect time for live export banners to put there money where their mouth is. ?? How can the board justify salary increases given the massive losses? An informed and balanced article Jon, thank you. Very difficult to seperate the timber from the trees these days with keyboard exspurts abound. Cheers. This debacle at least closes the debate on one issue. Live cattle exports from northern Australia can definitely not be replaced by boxed beef. Australia is high cost, unionized, overregulated and uncompetitive producer. We have been kicked off the shelves in Malaysia, Hong Kong and now Indonesia. At great expense to its long suffering shareholders the good old boys at The AA have proven this in spades. Livingstone is a canary in the coal mine to all beef processors in Australia. A while ago someone on this site described beef processing in Australia as a dieing sunset industry..
Board members have a primary responsibility to make decisions that are in the best interest of the company. Costs of operating Livingstone, both operational and cattle supply costs, existed when the board made the decision to proceed with the investment. Creating a spin blaming cattle prices and operating costs is simply passing the buck on a bad board decision. The board is ultimately responsible! I very much appreciate the complement by Beef Central, obviously the Editor has been talking to industry leaders for there comments, but just letting the readers know that I wasn’t one of them. Thanks for your comment Frank, and nice to hear from you. Confirming that your name (and the two others) came up in discussions simply as examples of people with the sort of cow processing expertise the board needed. Editor. I remember a conversation with Dean McKenna four years ago and he saying that the company needed at the operations or board level a mentor in the mould of Peter Greenham ,Frank Herd or Tony Munns. Dean, never a truer word spoken. Pity the board had their head in the clouds, not on the kill floor.